Find out if this is the program for you! Get your Guaranteed Offer in 48hrs or less! Do you want to sell your luxury home? When you are ready to buy or sell a home in Brimfield, Dunlap, Peoria or the surrounding areas, you need the assistance of the professional and expert team at www.adammerrick.com. With the experience and knowledge provided by this team, your real estate experience will be stress free. When searching for a home in this area, there are many great options. From the diverse choice of neighborhoods to the location of nearby amenities, finding the homes that meet your requirements is essential. Are you looking for a home with a pool, a large yard with a privacy fence or a patio that is perfect for outdoor entertaining? These features and more are available when you choose the only option that will provide you with the best homes in the area – www.adammerrick.com. When you are ready to sell your home in any of the areas including, but not limited to, Farmington, Peoria, Dunlap or Brimfield, www.adammerrick.com can help. Their expert knowledge of what is needed to get your home noticed by the maximum amount of potential buyers will result in a faster selling time for your home. Providing those who are in the market for a home with all the great features that your home offers is the best way to generate interest in the property. The powerful search engine tool is one of the resources that will make finding your new home easier by narrowing the list to only those that meet your requirements. Why waste time looking at homes that do not have what you need? In addition to the information provided about the features and location of the home, photos and virtual tours are advantages of the search engine. 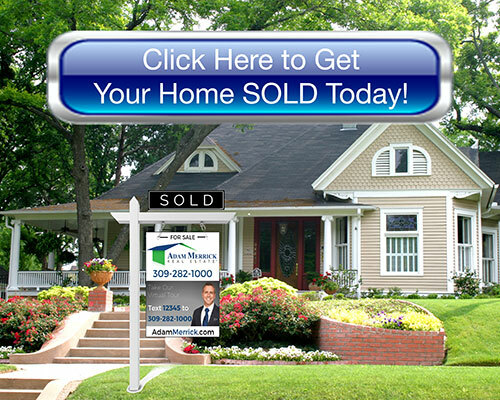 There is only one choice when you are buying or selling a home in the greater Peoria area. Choose the professional and knowledgeable team, www.adammerrick.com, to assist you with all your real estate needs. From Brimfield to Farmington, Peoria and Dunlap, the #1 choice is www.adammerrick.com.